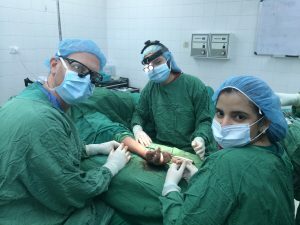 I wasn’t sure what to expect when I arrived in Tegucigalpa, Honduras on an international hand surgery mission. I had taken time away from my family and medical practice to travel thousands of miles away to a medically underserved land. 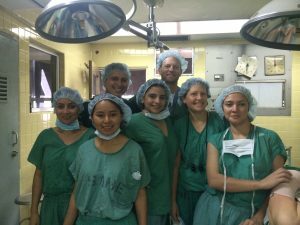 In the past, I had performed medical missions to India and the Dominican Republic, so I wasn’t completely new to this experience, but I also knew that each mission presents its own challenges and unique rewards. I enlisted in this mission through Health Volunteers Overseas (HVO), a non-profit global health organization that organizes programs around the globe for doctors, dentists, nurses, and therapists to help those in need. HVO has 80 projects in 26 countries, predominantly in underserved regions in Asia, Africa, and Central and South America. Preparation began months in advance. Sibley Hospital and Bethesda Chevy Chase Surgery Center donated equipment, instruments, drapes, surgical gowns and gloves, as well as suture that was no longer used in the U.S. but was still in good working order. Integra generously donated dermal matrix used to treat burns and skin defects worth an estimated $750,000! Everyone I approached was happy to pitch in and eagerly donated to the mission. Dr. Moss working with Honduran colleagues to reconstruct a thumb injured in a motorcycle accident. I knew Honduras had a void in hand surgery expertise, but only when I arrived did I learn that the entire country of Honduras produces, on average, only one hand surgeon every three years. My gracious host, Dr. Emerson Medina, greeted me at the airport and took me directly to the Hospital Escuela, the largest teaching hospital in Honduras, located in the heart of Tegucigalpa. Dr. Medina was the most senior hand surgeon in training in the entire country, and was eager to further his education so that he could better serve and treat his fellow countrymen. In the Hospital Escuala, Dr. Medina first took me to the in-patient orthopaedic ward. He showed me room after room filled with patients in skeletal traction. Sometimes as many as five patients were crammed into a single room. Skeletal traction is used to stabilize femur fractures and requires weeks or even months in bed, with weights literally distracting one’s limbs to preserve length and alignment. It is rarely used in the U.S. as a definitive treatment as we usually surgically pass metal rods, or “nails,” down the femur to internally stabilize the bone and allow patients to walk the day after surgery, and minimizing serious risks of prolonged bed rest. In Honduras, due to scarcity of resources, surgery was rarely performed for femur fractures. Less expensive traction was the preferred treatment method. Next, we entered the physician work area. An entire dry erase board on the wall was filled with a list of upcoming surgery. Patients with complex traumatic upper extremity injuries had been accumulated over the previous weeks and were designated for treatment by the “Brigado de Mano”—my international hand surgery team. Injuries included motorcycle accidents, roll-over motor vehicle accidents, gun shot wounds, complex burns and contractures, and all sorts of high energy mechanisms. But far and away, the majority of the injuries were machete injuries as a result of gang violence. The machete is a common tool in Honduras, and is a common weapon among local street gangs. Street gangs have infiltrated Honduras (many originating next door in El Salvador) and, at the time of my visit, helped to make Honduras the murder capital of the world. Many of these same gangs have also infiltrated the U.S. In fact, I was first introduced to the Honduran and El Salvadoran gangs when I was training in Baltimore. A common punishment within the gang was amputating the insubordinate’s hand with a machete. I was tasked with re-planting these limbs in arduous 10–15 hour surgeries, using an operating microscope to repair each tiny vessel and nerve. After we visited the orthopaedic ward and reviewed the accumulated cold trauma cases, the next task was to the outpatient clinic. It was Sunday, but hundreds of patients were lined up outside the clinic doors. The hallways were packed with patients and family members, with many sitting on the floor with bandaged extremities or grossly deformed limbs, all waiting patiently with high hopes for proper treatment for themselves or their children by the Brigado de Mano. We spent the remainder of Sunday examining each patient, one by one, trying to understand the complexities and nuances of each injury and deformity. We saw over 100 patients. Many of the conditions were unique to less developed countries. There were an extraordinary number of burns—many the result of cooking over open flames. There were too many industrial accidents—often the result of dangerous working environments. And of course, there were far too many machete injuries from the gang violence. Dr. Moss visiting a patient just after wrist surgery. Many of the conditions I saw in the Hospital Escuela clinic were completely preventable and were rarely seen in my practice in the U.S.
Our operative time was finite and, unfortunately, only a small percentage of the patients seen in the clinic would receive surgical treatment. We tried to help as many patients as we could, but in the end we had to prioritize the most needy patients. We constructed an operative list for the following five days, allocated our resources (medical supplies and man-power), and headed back to the hotel to review for the week and get some rest. Dr. Moss and the “Brigado de Mano” (International Hand Surgery Team). make do with what we had available. The local doctors and staff were always pleasant and never complained. The patients were universally appreciative for the care they received. I view my international medical mission to Honduras as both a duty and a privilege. It is our duty to help others. 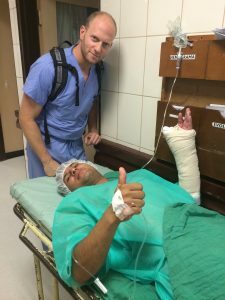 My orthopaedic skills were used directly to help the Honduran people, but also, and in a more lasting and meaningful way, to train Honduran doctors so that they can help their people for years to come. It was a privilege to spend time with tireless professionals, providing care to the earnest, hard-working citizens of Honduras. I will gladly return. For more information about hand injuries, email us or request an appointment. Be sure to follow us on Facebook and Twitter as well! 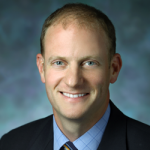 Dr. David P. Moss is an orthopaedic surgeon at Washington Orthopaedics & Sports Medicine, with specializations in conditions of the hand, wrist, and elbow. He is certified by the American Board of Orthopaedic Surgery and the American Society for Surgery of the Hand. Dr. Moss’ research interests include tennis elbow, carpal tunnel syndrome, and post-operative pain relief.